Snowbird Hootenanny Returns to Perdido in 2019! 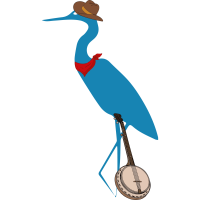 The Second Annual Snowbird Hoe-Down on the Line to return to Perdido February 28, 2019! PERDIDO KEY, FLA. January 15, 2019 – Snowbirds will flock to the Florida-Alabama State-Line once again for the Second Annual Snowbird Hootenanny at the Flora-Bama! The Perdido Key Area Chamber of Commerce and Perdido Realty is excited to once again host a hoe-down for their favorite winter guests! Starting at 11 AM, attendees will be welcomed into the main tent stage at the Flora-Bama Lounge, Package and Oyster Bar by excited vendors from local businesses in the Perdido Key Area. A delicious southern Barbeque styled lunch will be provided by the legendary Flora-Bama chefs, guaranteed to leave you satisfied. Any additional tickets will be sold at the door, however, tickets are restricted to 300.